One of the most fascinating things that I find about Beaver County is is the number of beautiful churches and architecture that is unknown to many. As a wedding photographer I have the unique opportunity to visit many churches and historic buildings. The first image to the left is an interior shot prior to the start of a wedding. I was in the balcony at the rear of the church. The view was beautiful displaying all of the amazing arches and color that streamed through the stain glass. I could only imagine the many weddings and church services held in this historic church over the years and the number of people who came to the church to hear the Gospel of Jesus Christ. 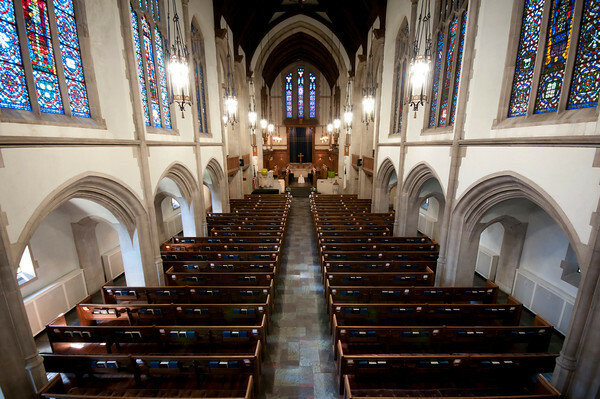 The lines of the church pews are accented by the arches along the wall as they take the viewers eye to the alter with its own beautiful arch outlining the stained glass behind the alter and in the center of the musical instruments. 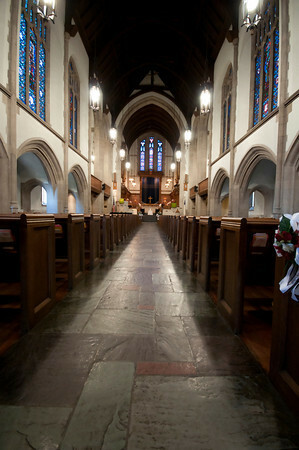 The second image is the view from between the pews and presents a similar but unique view compared to the view from the balcony. Another interesting point is that every movement and step can be heard. As I walked through this church taking these images and later photographing the wedding, every click and step is echoed throughout the sanctuary. Although I wore soft soled shoes, my movement could be heard from one end of the church to the other. These churches were made to carry the singing of the congregation from one end to the other and no doubt served to lift the spirit of many visitors. 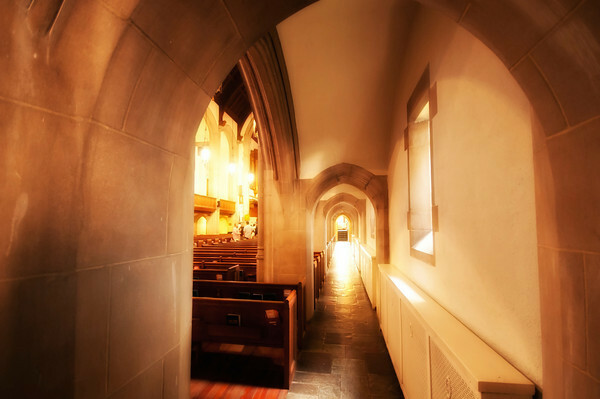 The third image portrays the beauty of the hallway that runs along the outside edge of the pews. Notice the warmth and glow of the sun that is coming through the windows. This warmth is felt walking along the walls toward the steps that take you to the balcony or the other side of the church building. 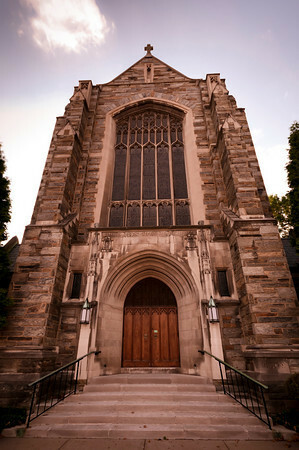 The final image is the front of this beautiful church. I can not even imagine the number of hours and days it took to build this church initially. I wonder if the original builders and congregation realized the historic beauty that it would portray in 2012.